Don’t Make The Mistake Of Thinking Your Home’s Invincible, Because It’s Not! Each year, without fail, we take our cars to get serviced, to ensure that they are ‘healthy’. But what about our homes? There seems to be a common misconception among many homeowners that our properties are invincible, unlike our cars that need regular maintenance and care to be kept on the road. Just because there are no laws in place that stipulate your home must be checked over once a year to make it road worthy, that doesn’t mean it’s invincible. The fact is that far too many of us put the ‘health’ of our homes at risk by not giving them adequate care and making maintenance a priority like we do for our vehicles. The truth is, properties are not invincible, things can become damaged and cause problems. Sometimes these are minor issues, other times they can lead to the property crumbling to the ground, if they aren’t dealt with, that is. To give you an idea of what it takes to keep your home ‘healthy’ and ensure it holds its value, below are some tips and pieces of advice for both indoor and outdoor property care. Keeping those gutters clear is a must. Far too many homeowners don’t take the time to have the gutters of their property cleared, allowing leaves, dirt, and debris to build up, clogging them up. 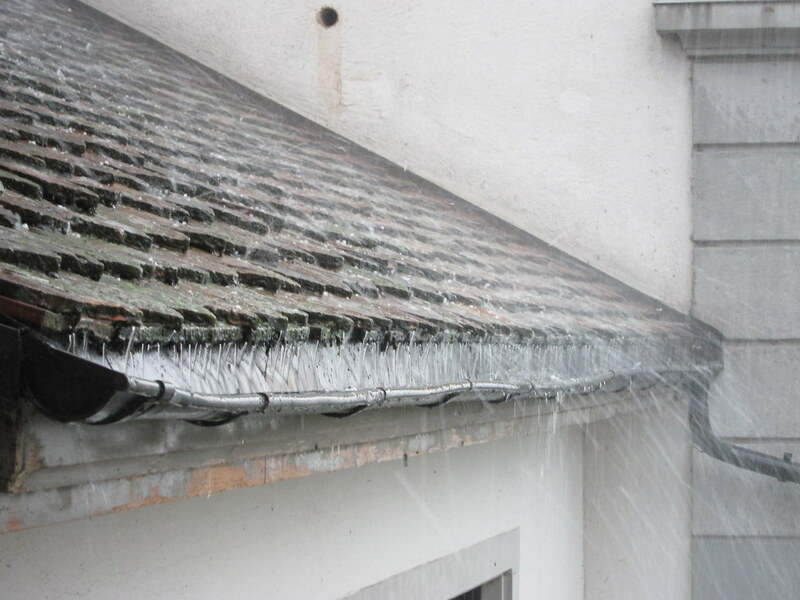 This is a mistake, as when a gutter is full, rainwater can’t drain properly meaning that it either sits on the roof or runs down the property, neither of which is good and can cause damage, especially in cold conditions. So clearing your gutters out regularly is a must. Don’t like heights? Hire someone to do it for you. A damaged roof is a disaster waiting to happen. A chipped, cracked, or missing roof tile isn’t just unsightly, it can also lead to some serious damage to your property, especially if you don’t deal with it right away. When your roof is damaged, it opens up the beams and attic to the elements, which can lead to damp, water leakage, and even pest invasions. So, as soon as you notice a problem with your roof, it’s best to call a local roofing company and get the issue dealt with. If you leave a problem to get worse, it could end up costing you thousands to fix, so the earlier you deal with it, the better. Deal with mould and damp immediately. The moment you notice damp or mould in your home, you need to deal with it. Not to scare you but damp and mould can spread and cause damage to your home that’s incredibly expensive to deal with, so it’s important to call in an expert as soon as you notice any areas of mould or damp in your home. Don’t put off dealing with leaking pipes. Yes, leaking pipes can be expensive to have fixed, but don’t put it off. If you leave a leaking pipe for a long period, it can cause damage to the floorboards underneath it, as well as more serious problems, especially if the weather is cold and the leaking water freezes. So don’t put off dealing with it, because your home is not invincible. Do not leave cracked tiles. If your bathroom or kitchen tiles are cracked, don’t leave them. Regardless of how small the crack is, water can get into it and cause damage to the wall, so it’s important to replace the tile or reseal the crack as soon as possible. The fact is that your home is not invincible, so it’s important to deal with any issues as and when they arise, to prevent more serious and more costly problems from occurring. Previous Post Relocating Abroad With The Family: To Stay Or Go?